Happy New Year #SDStyleBloggers! What better way to start 2016 than with an exciting and fashionable event?! 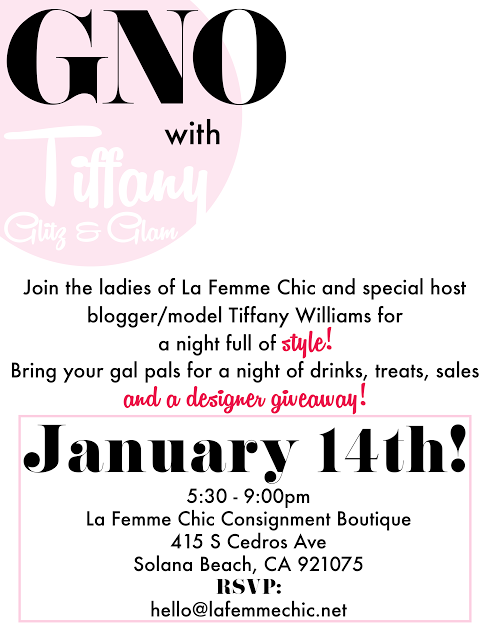 Tiffany Williams of Glitz and Glam will be hosting a Girl's Night Out Shopping Event with La Femme Chic Boutique. Enjoy sweet treats, drinks, discounts and designer giveaways.